Passing by Balamban before getting to Asturias, or just driving to it after you leave some stuff in your Asturias accommodation, you can try the ever-famous original Balamban liempo. Indeed, it tastes way better than what you get around the city. If ever you long for this food after your trip, you can still buy it from specialty stores in and around Cebu City. Stop by the Wild-Wild West in Balamban. If you are looking for a place to visit or an activity during summer, other than those related to the beach, then this is the best spot for you. The Wild-Wild West is one of the places that will satisfy your adrenaline rush and offers you quality bonding time. Owned by the International Pharmaceutical Inc. (IPI), this recreation center is not only for adventures, but also for those who love seafood, as it has a prawn farm that sells to locals and visitors alike. One of the best activities offered by this place is car drifting, where you can find drifting tracks with 3 car units that are set up for drifting. Aside from this, it also has a horseback riding trail and a restaurant, as well as offers all-terrain vehicle (ATV) rentals, fishing at the lagoons for people who want to fish their own food, fish feeding, cycling and karaoke. For the restaurant, it offers a variety of food, the original liempo and seafood dishes. Everyone is invited to come and try these adventures at very low prices for everyone to afford. Better yet, there is no entrance fee for those who just want to see the place, which means you can still enjoy the magnificent views and the fresh cool wind. You are also allowed to do camping with your family and friends. Visit the Policios Waterpark Resort & Spa. Entering the premises, you will see a beautiful pool and very cool cottages that makes the resort a pretty sight. 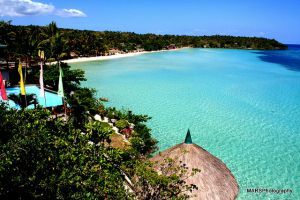 To arrive to this place, you can take a bus ride from Cebu to Tuburan. Also, there are vans for hire at the Ayala Center Cebu, which would cost you no more than P200. Just inform the bus attendant or “konduktor” to drop you off near Sta. Lucia, from which you can take a “habal-habal” or a tricycle bound directly for Policios. You can find a lot of local restaurants in Asturias, where you can have a great dining experience. These establishments boast of many dishes that Cebuanos are proud of. Here you can enjoy seafood in a unique way. 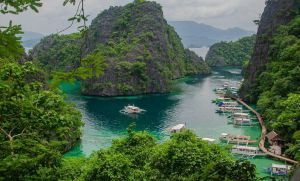 With this guide, you will definitely enjoy your trip to this beautiful town in Cebu. Stay safe! I am thinking about taking a trip to Asturias. Your post states that you can take a v-hire from Ayala Centre to get to Asturias in an hour?